The handwritten letter, a relic from the past, has been reborn at Bond. 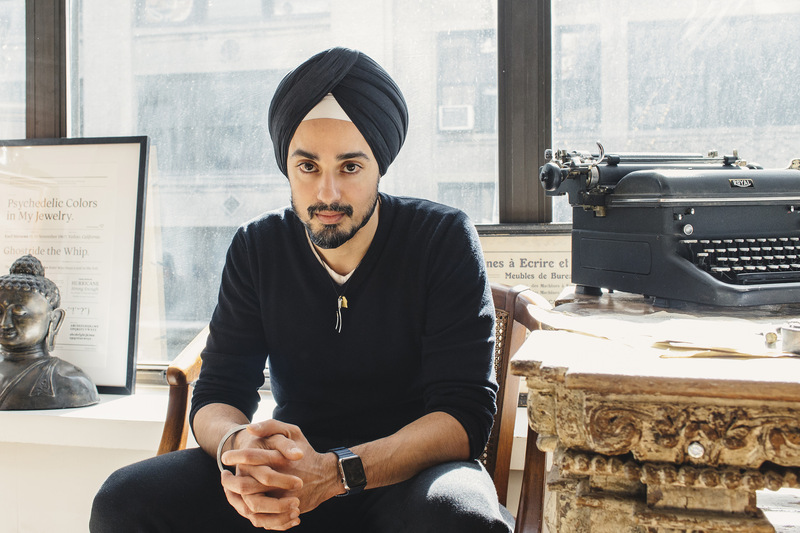 There’s been a buzz in the press surrounding NYC-based startup Bond. 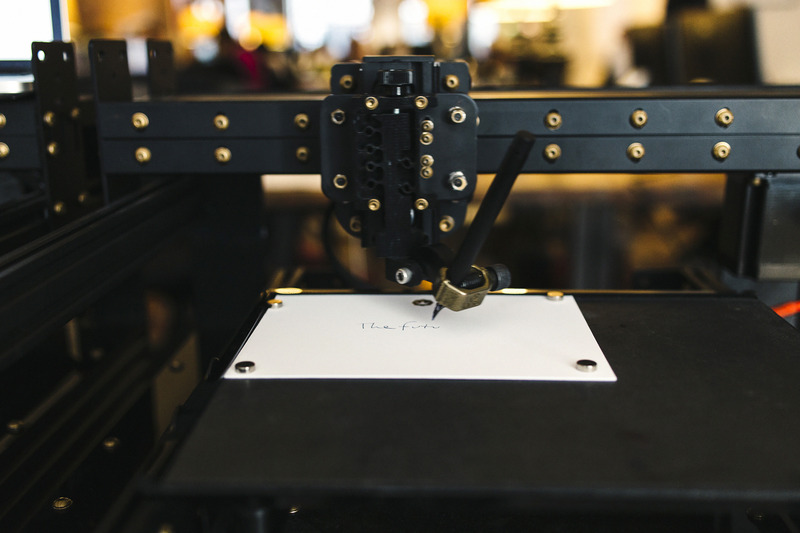 The company is buzz-worthy: they write, sign, seal, and deliver letters written by machines. But the story is much more than novelty. 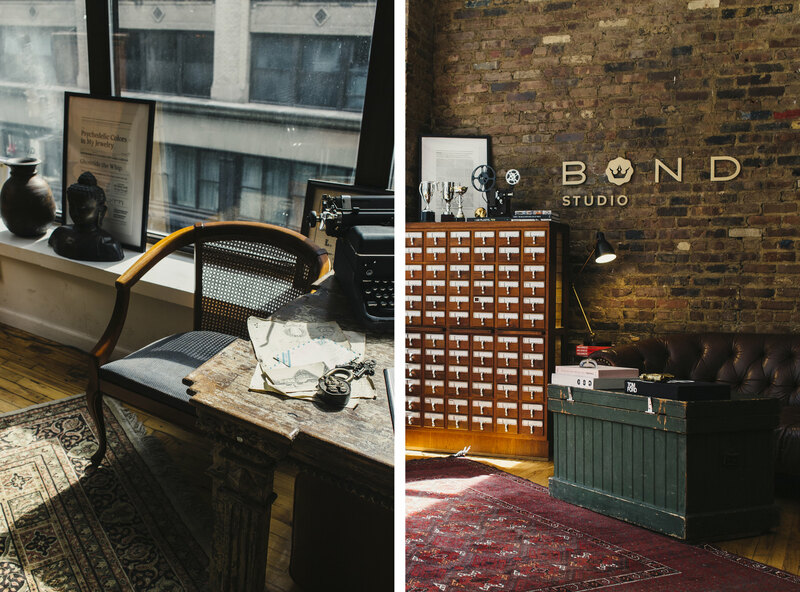 There’s a certain spirit about this company, its founder, and its mantra that makes us appreciate not only the possibilities liberated with Bond’s process, but also the soul behind pen and paper. Bond was started in May of 2013 by serial-ecommerce-entrepreneur Sonny Caberwal with the concept of saying something meaningful, as a gift, in a beautiful and convenient way. A concept that was realized in January of 2014 with the successful production of a machine that could replicate real handwriting with a real pen on real paper. “It’s all about how can we use technology to help people connect to people they care about in a better way,” Mr. Caberwal tells us. Sonny is an inspiring figure, both in countenance and drive, and is one who values care and relationship. Bond is built on exactly this. Caberwal proudly says, “The story of Bond is about amazing people who care a lot. 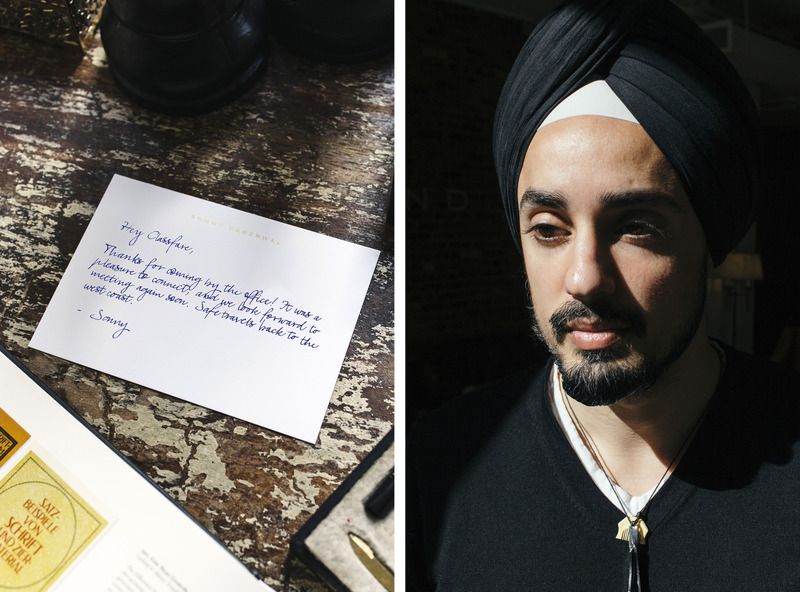 From engineers to nationally award winning calligraphers. People who care a lot about how the letter ‘a’ looks.” The product embodies this ideal. Sonny shows us what it’s all about by writing a note himself with care, pointing out the nuance of how letters are shaped and how they interconnect. Things that we intrinsically feel when reading a personal note, but never really think about. He then shows us the same message, written with the Bond machine, and the results are nearly indistinguishable. After we marvel at this simple piece of paper, Sonny says with a smirk, “It’s almost preposterous how complicated a machine-driven handwritten letter is to pull off.” It is preposterous. But the world is better off with people in it like Mr. Caberwal that take on the preposterous with passion. The implementation of Bond’s broadly reaching goal is uniquely complex. The process which, to the user, is seamless, is in fact immensely complicated. It begins with you, at home, scribbling out three paragraphs of text that have been carefully researched by the team at Bond. Once this is complete, you submit it to Bond and your handwriting is now a part of their system. You can then sign in, type out a message from any device, submit it with an address, and Bond takes it from there. The machines then write the note (with your choice of pen and paper), the note is placed in an envelope, stamped, the machine writes the address (again, in your handwriting) on the outside, and the letter is sent. And a week later, when the letter arrives, your mother-in-law despises you just a little less (even though you lied about how good the food was at Easter). The world can agree that letters should be written. And letters should be sent. There are so many places and times where you might want to send a note. But you just don’t. Time. Procrastination. ADHD. Not having had stamps for the last 20 years. Not giving a damn. These are all the things that Bond solves. Bond delivers a care-full connection to the world around us, nicely packaged via digital tools, displayed in real life expression. A worthy accessory to the portfolio of our lives. As Mr. Caberwal puts it, “You are taking the process out of your digital stream and into the physical world in order to aspire to a better lifestyle.” Bond has discovered a place where our intentions can easily move in harmony with our busy lives. A place that is tactile, warm, and meaningful. Thank you, Sonny, for your preposterousness. We’ll send you a note. Visit Bond.co to request a sample, send a letter, or sign your business up for a Bond account.